The concept of infinite banking is about strategically using participating whole life insurance from a mutual insurance company as a personal banking system. The simple idea is that whole life insurance from a mutual insurance company can be used in such a way so as to create a flexible private reserve of available cash for self-financing that can replace the use of third party banking institutions. The term “infinite banking” or “infinite banking concept®” was originated by Nelson Nash who wrote “Becoming Your Own Banker” and is generally deemed the originator of this strategy, at least as far as it is a recognized financial strategy. Pamela Yellen’s “Bank on Yourself”, is another recognized promoter of this strategy. Other more general terms such as becoming your own banker, personal banking strategy, self banking system, family banking, or any derivation thereof refers to this strategy. All of the above are referring to a strategic process that uses high cash value whole life insurance in a way that is different from what is commonly promoted in the mainstream life insurance community. The infinite banking concept is a strategy, and like most innovative approaches, is a subject of some ongoing debate. This article will attempt to explain the general strategy in plain language and briefly address some of the common objections. Is Infinite Banking a Scam? Is Infinite Banking Concept or Bank on Yourself a Scam? There is so much mystery surrounding the concept of infinite banking and to a smaller degree, Bank on Yourself, that many people simply dismiss IBC as a scam. How unfortunate this is! Far from some elaborate infinite banking scam, a properly structured banking policy utilizing the infinite banking concept can lead to an abundance of wealth producing assets. But before we get into the details of IBC, it is important that you understand the difference between term life and whole life. It is not easy to stay out of the ongoing battle between term life insurance vs. whole life insurance. Typical life insurance strategies focus on the need for life insurance protection and this is really about the cost of paying for a death benefit. Term life insurance offers an inexpensive way to purchase a death benefit for a limited “term” or time period. Generally, term policies never pay a death benefit because they expire prior to death, and insurance companies know this when they issue these inexpensive policies. If one stops paying on a term life policy, the coverage is simply forfeited. Whole life insurance (AKA cash value life insurance) offers a permanent accruing death benefit protection as well as accruing cash value growth within the policy over the life of the policy holder based upon mortality tables. Policies issued for the past 10 years use 2001 CSO mortality tables that extend the maximum lifespan of the policy to age 121 (in contrast to older policies that used a lifespan to age 100). Whole life policies offer a non-forfeiture benefit which means that if the policy owner allows the policy to lapse, a large portion of the reserves (known as the cash value) will be returned to the policy owner. Finally, whole life insurance is an asset class that can be utilized to store your wealth while you wait for opportune times to invest those reserves into other income producing assets. Dividend paying whole life insurance provided by a mutual company verses a stock company is ideal. Mutual life insurance companies are owned by policy holders whereas stock life insurance companies are owned by shareholders. According to Nelson Nash, the reason that mutual companies are preferable is that they focus on keeping the policy holders happy, not stockholders, which makes a lot of sense. One way this manifests is mutual companies may pay higher dividends to policy holders as a return of premium, versus a stock company that must focus on maximizing profits for stockholders. Traditionally, most whole life insurance agents advise clients in such a way that emphasizes the death benefit of policies. If the death benefit is the focus, then the base premium of the policy will be the primary focus in terms of the cost of the policy. Emphasizing payment of only the base premiums results in a whole life policy with a maximized death benefit and extremely slow accrual of the cash value over the life of the policy. In contrast, the infinite banking approach is to design the policy for early high cash value growth. This will include a strategy that emphasizes what is called paid up additions, typically through the use of a paid up additions rider. Simply put, paid up additions accelerate the accrual of early cash value within the policy. if someone had $1,000 per month to spend on life insurance, if the entire amount is applied to the base premium, this would purchase a larger death benefit. However, if an infinite banking strategy is preferred, this amount could be divided 60% paid of additions, 40% base premium, meaning 60% of the monthly or annual premium is purchasing paid up life insurance. Another seemingly key component to the infinite banking concept is to choose a mutual company that practices non-direct recognition. Under non-direct recognition your dividend remains the same, even if you take out policy loans against life insurance. Loans allow you to borrow from the insurance company, using your cash value as collateral, and the company is still crediting your account as if the FULL amount of your cash value was still present. In reality, the full amount is still present in the policy because the loan is from the company, not from your policy. However, direct recognition companies adjust the dividend amount when there is an outstanding policy loan, which may affect your arbitrage. With non-direct recognition you can make money in your policy via the dividends and make money outside your policy with the borrowed capital you are using to invest in other assets. You may even find that with the dividend you are getting positive arbitrage on the cash you borrow. We at Insurance and Estates diverge a bit from IBC and BYOB on the idea that non-direct recognition is always superior to direct recognition. A successful banking policy can be used with both types of companies. And there are alternative methods of borrowing money in your policy that make this debate between direct and non-direct recognition a non issue. What is the benefit to expediting the cash value accumulation within a whole life policy? This question goes to the core purpose of the infinite banking concept and why this strategy makes sense as opposed to utilizing a traditional whole life insurance model. Simply put, expediting the accrual of the cash value within the policy allows the policy to accumulate cash value quicker. As a result, the various benefits of whole life insurance as a powerful financial tool can then be obtained sooner. With that in mind, the commonly known benefits to utilizing the cash value in a whole life insurance policy from a mutual company that practices non-direct recognition are gains derived from a guaranteed rate of return plus additional gains from tax free dividends and non-guaranteed appreciation within the policy. In addition, loans can be taken with minimal interest charged and no penalties at any time (in favorable policies) AND regardless of loans the policy will continue to grow on the full cash value in a properly structured self banking policy. Moreover, the various benefits of mutual whole life insurance, funded with paid up additions, offers what can be described the ideal personal banking vehicle that offers liquidity, ongoing compounding interest of your money, dividends and asset protection in many jurisdictions. Your money in your policy is available to you above any one else. It is your money and the company must allow you to use your money in the policy in the form of loans or withdrawals. You do not have to qualify in order to take out a loan. Since the money in your cash account earns interest, EVEN if you have an outstanding policy loan, your money earns continuous compound interest. This results in a highly efficient banking policy, as your money continuous to grow and grow as time goes by. As part of the benefit of using a mutual company, your banking policy receives dividends. Although not guaranteed, most mutual companies have paid dividends for over 100 years, including during the Great Depression. When crafting asset protection strategies it is important to check with your local state laws because many states have protections in place protecting the cash in a life insurance policy from the reach of creditors. This concept becomes increasingly powerful when used as a strategy to recapture debt costs being paid to banks and other third parties. As Nelson Nash recommends, this strategy is akin to building a business, and thus there are up front costs in getting the policy started. To treat the policy like a business, it is essential that the policy loans be repaid (with interest/or at a minimum the interest must be paid) and it is advisable that premiums continue to be paid through the duration of the policy period (rather than allowing the cash value to pay the premiums). In Nash’s example, you don’t operate a grocery store and then raid the shelves for your personal use because this will have a serious adverse affect on your business performance. Instead, as the business owner, you value your merchandise GREATER than others. Therefore, as a banker dealing with your own money, you VALUE your money GREATER than a banker. It is important to remember that one of the key objections to purchasing whole life insurance is the inexpensive availability of term life insurance vs whole life insurance. “Buy term and invest the difference” is a commonly touted objection (most loudly by Dave Ramsey of Financial Peace University) to whole life insurance. For purposes of this post, it just needs to be understood that we can bridge the deficiency of not having enough coverage in our banking policy with a term rider, which can be used to add convertible term life insurance (which results in an increase to the death benefit). A term rider allows greater flexibility to add cash to the policy via paid up additions. Further, convertible term insurance also is an inexpensive way to reserve future permanent insurance in the event one’s health declines. Common objections to this concept can be summarized as (1) high costs in starting up the policy, (2) high surrender charges, and (3) alleged greater returns on other financial products. Often times, these objections are based upon a misunderstanding of this concept, misinformation, or the trumped up support of other financial “gurus” pushing their own financial products. In truth, the concept can be used with other financial products, other than whole life insurance. However, whole life just happens to be the superior financial products out there for implementing the concept. In general, there is an ongoing tug of war within the financial community between those who sell market based investments and those who sell life insurance. There is also an ongoing debate within the life insurance community between those who focus on selling term life insurance and those who focus on whole life insurance strategies. Much of this is simply posturing for market share, and it is up to you to determine the pros and cons of a given strategy. Now apart from the obvious fact that no one actually practices this, Ramsey is simply muddying the waters here because a properly structured whole life policy is not really an investment at all. Just know that applying the infinite banking strategy using whole life insurance is not an investment at all. Dave Ramsey has generalized whole life insurance, and never addresses the fact that a policy can be designed in such a way as to minimize costs and fees and maximize cash value growth in a tax incentivized environment. Whole life insurance is not an investment. Rather, the policy acts as a forced savings plan earning much higher rates of return than other savings accounts. One that accumulates money in a tax deferred account that you can THEN use to invest with, as you purchase other income producing assets, at the same time as earning interest and dividends on the cash value in your policy! That means your money is essentially working double time. This is a HUGE concept to grasp and is the key component of infinite banking that Dave Ramsey knows nothing about. In my experience, this concept is the most powerful “safe” wealth building concept that I’ve come across after 15 years of estate planning experience. For this reason, I’m proud to present the infinite banking concept as a real solution to empower your wealth and estate planning as an individual, family member, investor and business owner. Why is the Infinite Banking Concept Something That You Should Consider for Your Family, Friends and Loved Ones? Why do you need a personal, private banking system to replace your use of conventional banking? Do you own a vehicle that you’re making payments on? Do you use credit cards? Are you paying a mortgage payment? What if there were a system that can deliver a way for you to recapture all of that cash outflow, dollar for dollar, and even better, dollar for dollar plus? What would this ability do for you and your loved ones? If you could start a bank right now, would you do it? Before you answer, think about it for a minute. If you owned a bank, others would deposit their money in your corporate account, and you would hold it as available to them while maintaining the freedom to loan it to others. If you are getting an interest rate on your money of 1% and someone is offering you an interest rate of 2%, do you realize that your investment just doubled? Your return on investment just went from 1 to 2, that is a 100% increase in your return. So consider how much banks are truly profiting on your money when a savings account offers you less than 1% return on your money and the bank creates a loan with a 5%, 10% or even 30% interest rate. How much greater percentage wise is the bank’s return compared to you? In today’s market, you as the banker might offer to pay your depositor 1% interest for the “privilege” of them being able to deposit their money with you. In turn, you could lend that dollar to someone else and charge anywhere from 2% to 27% to whatever the market allows. Sounds like good business, right? Hold up, it gets so much better for you as the banker. The fractional reserve banking system rate dictates that for every $1 that is deposited, you get to loan out an amount of around $10, and this continues in perpetuity. So, when you loan the $10, whatever portion of that money that is deposited back into your bank can then be loaned at 10x its value, and so it goes. Are you interested in the banking business yet? Here’s another aspect of the lucrative banking business to consider. How much of every dollar that you’re paying to a bank right now is interest? The average person sells a home and moves or buys a new car every 7 years AND that’s also when you pay the most interest on a loan. You see, it isn’t about the rate of interest that you’re paying to the bank, but rather the “volume” of interest. Applying some simple math principles concludes that many Americans are paying 35% to 65% interest on every dollar earned! …and would you be interested to know that the largest banks in the U.S. use your money to purchase income producing tax advantaged assets such as real estate and, you guessed it, cash value life insurance? You’re the banker, so what do you care…you’re laughing all the way to the…B-A-N-K.
And you have the entire education system rigged to propagate the lie that your money is best utilized by placing into the banks. Basically you are parking your money, or putting your money in jail, rather than using your money as a means to gain true wealth. Now, if you’re not the banker… the above scenario results in an inability to get ahead in your finances. You can call it the slavery of the masses, or first world slavery, because the system is not designed to help you. Rather, the system is designed to keep you subservient to those who control the wealth…bankers and corporations. Are you getting a little angry yet? If not, you might want to reread what we have covered so far. We have been duped. But the good news is there is a better way. The infinite banking concept represents a paradigm shift away from current thinking because it is a return to the principles that governed this great country before the government and Wall Street took control of the banking and retirement systems. In a previous post, we discussed the history of life insurance and its use at the turn of the 20th century as the primary vehicle for retirement planning. Currently, the system is rigged against the middle class because everything is geared toward taking your money and transferring it to banks and investment companies who are often one and the same due to legal changes that have favored the wealthy at the expense of the middle class. When you create your own banking system through mutual whole life insurance in such a way as to escape from traditional banking and reliance upon Wall Street for your retirement, you can eventually recapture all of your debt costs AND stop the roller coaster that history has shown is inherent in investing in the stock market. This allows continuous compounding of your wealth, for you in terms of tax free accrual of cash value and for your loved ones in terms of an accruing death benefit. The only way to really see this is to get your complimentary strategy session and look at some illustrations for yourself. Now will purchasing a participating whole life insurance policy from a mutual insurance company be the right move for you? It might turn out that the idea of purchasing a whole life insurance policy simply isn’t the “right” choice for you. When it comes to what “kind” of life insurance is going to be the BEST for an individual. 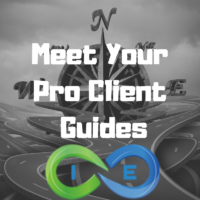 We here at I&E have chosen to remain an independent life insurance brokerage allowing us to offer a wide variety of insurance products from dozens of different insurance companies. If it turns out that purchasing a participating whole life insurance from a mutual insurance company is the “right” move for you… Great! But if it’s not, that’s “OK” too because we’re sure to have some other option that will meet your needs! So, what are you waiting for? Give us a call today and see what I&E can do for you! Disclaimer: The Infinite Banking Concept® is a registered trademark of Infinite Banking Concepts, LLC. InsuranceandEstate.com is independent of and is not affiliated with, sponsored by, or endorsed by Infinite Banking Concepts, LLC.